Spacious canal home with 5 bedrooms and 5 bathrooms.This exquisite home has high vaulted ceilings, well stocked kitchen with stainless steel appliances, big screen TV in living room and flat screen TV/DVD/Cable in every bedroom. Large jacuzzi tub and private deck for King master. Every bedroom has a private bathroom. 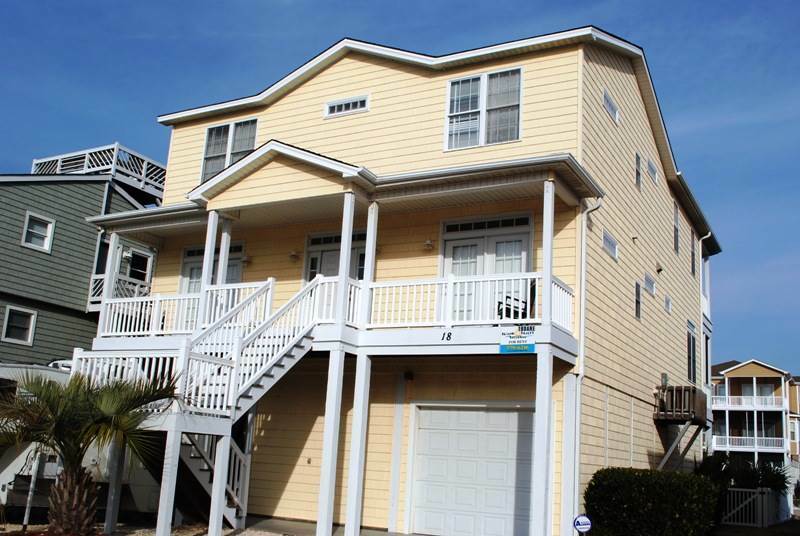 Screened and covered porches with sundeck and plenty of outdoor furniture, gas grill and private boat dock. As a courtesy, bikes, beach chairs and beach toys are provided for renters’ enjoyment. Ping Pong table and Foosball table in game room. Fenced backyard. Quick walk to the beach. Wireless internet access is available. Non-smoking. Sleeps 16. Bedding: BR1- King, BR2-Queen, BR3-Queen, BR4-3Singles (2 singles + 1 single trundle),BR5-2Bunks(single/single and single/double, QSS in living room.